The Brother HL-5280DW is a laser monochrome printer that is best suited for users who want a super fast printer for their printing tasks. As this printer is quite outdated, so it may not be useful for modern offices. The Brother HL-5280DW is quite lightweight and weighs only 6.8 kgs. This printer is 7.2 inches in height, 14.2 inches in depth and 14.5 inches in width. It has a printing speed of 27 pages in a minute with a maximum resolution of 2400 x 600 dpi. The Brother HL5280DW Toner Cartridges have a page yield of 1,200 pages and a monthly duty cycle of 10,000 pages. It offers both wired and wireless connectivity and has Print server for networking purposes. Its input tray has a capacity of handling 250 sheets and the output tray has a capacity of handling 100 sheets. The Brother HL-5280DW can print on envelopes, labels, plain paper, bond paper, recycled paper and thick paper. This printer is quite noisy and produces 53 dBA of noise. It is compatible with Mac, PC and Unix. It has a memory of 32 MB which is expandable up to 512 MB. 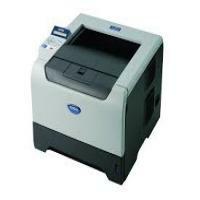 The Brother HL-5280DW is a laser printer that has a very fast printing speed and good output quality. It has excellent connectivity options and is Mac, PC and Unix compatible. The Brother HL5280DW Toner Cartridges have a high page yield. It offers both wired and wireless connectivity options. But it is not suitable for modern offices as it is quite outdated. It can handle limited type of media and also the paper gets curled. Despite this, it is a great printer for users who want a good printing speed. A. The printer supports both wired and wireless connectivity and has a Print server for networking purposes. Q. What are the compatible toner cartridges for replacing Brother HL5280DW toner cartridges? Q. Which operating systems are compatible with this printer? A. The printer is compatible with Mac, Unix, and PC. Q. Are your compatible Brother HL5280DW toner cartridges original or remanufactured? A. The compatible Brother HL5280DW toner cartridges supplied on this site are the remanufactured cartridges that are well tested (factory tested) for high-quality performance. They are low in cost but promise to provide good page yield as the original ones. Q. I have been advised to purchase Brother HL5280DW printer for my fast printing task. What features does the printer include? Q. How can I clear the message “paper jam inside” for my Brother HL5280DW printer? Unplug your device from the socket. Close the paper tray flap and the paper support. Pull the paper tray out of the machine and release the jammed paper. Place your hands under the plastic tabs on both sides of the machine to lift the scanner cover. Ensure that the jammed paper is not left in the corners of the machine. Prepare one glossy paper and insert the paper through the opening at the front. Remove the jammed paper that is pushed out by the paper that you have inserted. Q. Can I print sharp and clear images if I install compatible Brother HL5280DW toner cartridges instead of genuine ones in my printer? A. These compatible toner cartridges are able to print finest images besides clear and vivid text just like their original counterpart. If your work demands regular printing of images, these toner cartridges would be perfectly suitable to you. Q. I'm a new visitor to your site and am interested in buying compatible Brother HL5280DW toner cartridges from you for the first time. I’d like to know if you also give 100% guarantee and good customer support services on purchases. A. Yes, you will be getting 100% guarantee and complete support and assistance from our friendly and ever-helpful customer support staff. We’d look forward to receiving an order from you soon and a chance to build a relation with you. Q. I purchased compatible Brother HL5280DW toner cartridges (TN3170) packs in bulk to meet the heavy printing requirement at work. I wanted to know if TN3170 toner cartridges can be installed in some other printers as well besides Brother HL5280DW. A. There are some other printers besides Brother HL5280DW that use TN3170 toner cartridges. Once you identify those printers in your office with which these toner cartridges work, you can use them accordingly. Q. If I purchase printer supplies from you and need help with the installation process or other related components even at a later date and not immediately, would you provide the required support? Thanks. A. Yes, you can contact us anytime with any concern related to your purchase. We’ll be glad to help you out; you just need to be ready and provide the relevant details to help us serve you better. Q. Is the installation of compatible Brother HL5280DW toner cartridges easy? A. Yes, installing these toner cartridges is a very easy and hassle-free process. You can keep the manual handy or contact our customer support in case whenever you want.